Send an email to Petr Veriyenko Please fill in this quick form to contact our expert directly. Leading IT projects to success is not trivial. Only 64% of projects meet their goals, according to Project Management Institute 2015 research. Innovative IT projects are even more complex and risky to implement. At least 50% of innovative startup ideas fail according to the 2016 report, led by Statistic Brain Research Institute. For many years, R&D, conducted by large corporations, has been largely frowned upon. Seeing insane amounts of cash gone to waste seems like big companies don’t have a plan. But is it really so? There’s only a tiny window of opportunity, thus planning and developing stages have to be conducted quickly. You need to be quick to get your innovative idea right and make it happen before it becomes old and outdated. As a part of recently announced EVRY Strategic Design Lab activities, in the following article Petr Veriyenko, Software Developer and Head of Section at Infopulse who works on EVRY Financial Services projects, shares experience in creating and implementing innovations. 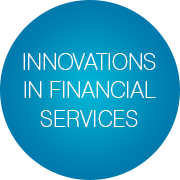 Our Financial Services team creates software for banks as part of financial enterprise solutions. Since 2007, we produced dozens of banking solutions, which are now widely used by many local banks across Norway and Scandinavia. Many applications and systems we made empowered bank customers with new, previously unavailable online banking services. Our systems fulfill bank functions, such as core banking, payments, security, bank cards, and others. 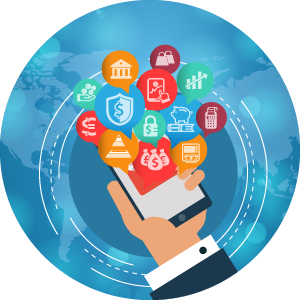 In parallel with banking application development, we provide full-scale consulting: from ideas brainstorming to final product implementation. Moreover, we offer maintenance and support; develop updates and customizations to our products and third-party systems. We call a product innovative if it gives a user new, previously unavailable experience. Such products allow end users to perform their regular tasks with greater convenience, easier, faster and with less mistakes. Various existing features that when combined empower us with innovative features. With our solutions, we digitize services that become available for customers in any place at any time. 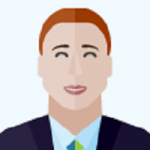 New solutions help to mitigate human factor risks, streamline operations and lower operational expenses, as instead of copying personal data and filling in the client forms, bank agents can focus on strategic tasks. And of course, new features make customers’ lives much easier and banks get more contracts without extra effort! In 2009, BankID was widely applied for authentication or as a digital signature but no one used it in automated customer registration process. An innovative idea was to let customers of a bank to use BankID for online signing of customer agreements, thus allowing new bank customers to register online. This project was unique in terms of level of integration with various subsystems: national registry, bank core, security, etc. As the application had to be multi-tenant and customized for other Norwegian banks, we used the most advanced by the time technologies. With their help, we could achieve dynamic scalability and ease of product configuration: UI/business logic changes, backend registers tweaking, etc. Infopulse developers implemented both frontend and backend parts of the solution, applied BankID for authentication and signature. The solution was deployed to production in just 4 months and became a great event in Norwegian bank industry. This small application was the first mobile banking app in Norway. It allowed a customer to check his bank accounts, see expenses, and perform payments and transfers while using his smartphone. Initially released in 2010, the application has been continuously updated over years with a focus on UX-UI. This mobile app became a huge success factor for our client and attracted many new customers who wanted to stay mobile and get bank services on the go. The solution that we developed made it three times quicker to pay a bill from a mobile phone than it had been possible before. Another ground-breaking idea was to use BankID authentication and signature to let customers order loans online. Upon filling in an online loan order form and calculating expenses, the customer is identified via BankID. All personal data (e.g., name, real estate and other possessions) is taken from the national registry and can be updated by the customer. After the customer enters his financial information, he sends the form to the loan application server for scoring. Our task was to combine a large cluster of systems and solutions into one system. We integrated Bank ID, scoring tools, personal data retrieval feature, bank customers and accounts, loans etc. This app has reduced the workload and saved working hours for many bank employees. The customer would go to a bank to sign an agreement only in case he passes the credit approval and gets green light from bank. According to Norwegian laws, if you want to rent a flat, you need to have a dedicated bank account and make a one-time security deposit. If the rent contract is completed without issues, tenant gets his security deposit released. Consequently, if the contract is broken, this amount can be transferred to the property owner’s account. Previously, tenant and property owner had to go to a bank to sign all necessary agreements. Now, after filling personal data and uploading rental agreement, tenant and property owner sign a bank agreement online and a security deposit account is created. There was nothing like that on Norwegian market before. This feature enabled personalized bank services offerings depending on client’s recent activities, searches and purchases. E.g., let’s assume that a customer has recently bought a house through online banking. In his bank cabinet, the customer will see a personalized offer to purchase home insurance, based on the amount he paid for his recent purchase, his income and other conditions. Sometimes, innovative ideas might seem too challenging or even impossible. Work in one team with professionals allows minimizing uncertainties or doubts. Your next steps require cooperation. You can accomplish ambitious goals through communication and coordination. To be innovative, you need to break your chains and look over the horizon. Don’t wait for a customer to decide what he needs. Time passes quickly and in half a year, technologies and industry focuses might shift a lot. You need to be familiar with modern frameworks, be open for new ideas and follow latest technology and industry trends. Only proactive approach and broad outlook win the game. Infopulse is always exploring cutting-edge technologies. Right now, we’re actively tackling new opportunities in IoT/IoE, Blockchain, FinTech, VR/AR, AI and other areas as part of our R&D program. Follow our blog for new articles on latest trends, insights and stories from the company specialists!